On behalf of proud sponsors K2E Canada Inc. and Intuit® Canada, I was honored to recently share with you the winners of the 2018 Top 10 Influencers in the Canadian Bookkeeping World. 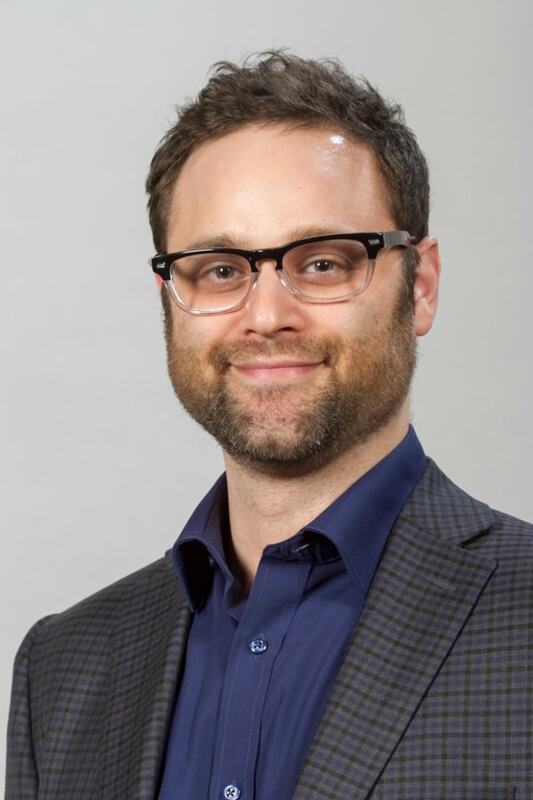 This program recognizes the key thought leaders who have elevated the bookkeeping profession, enhanced the professionals within it and contributed to the prosperity of small business in Canada. The winners have been showcased in alphabetical order by last name in this blog series. 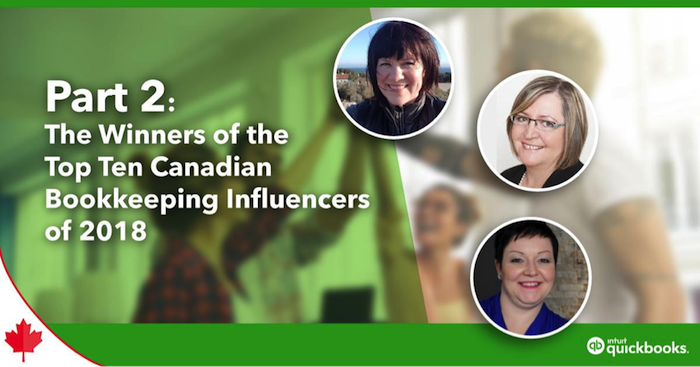 Today is Part 2 of a three-part series showcasing the winners of the recent Top 10 Influencers in the Canadian Bookkeeping World. I’m excited to share about three of the Top 10 Influencers in further detail below. My goal is to give you insights into their philosophy toward their industry, with hopes that you’ll be able to apply these insights to your own business. The Institute of Professional Bookkeepers of Canada (IPBC) website states, “Clients requiring the services of a bookkeeper are entrusting their most important possession to a stranger: intimate knowledge of their business or personal finances.” Yet, just a decade ago, clients searching for a bookkeeper could not easily look for independent evidence of trustworthiness or ability because barely any existed. That’s why Dianne co-founded the IPBC and created the Certified Professional Bookkeeper (CPB) professional designation. She wanted to protect clients while raising the profile of trained and capable bookkeeping practitioners. These goals have remained leading forces in Dianne’s career, met largely through educating bookkeepers across the country. She was a major developer of the IPBC continuing education credits program and is still a trainer herself. She was part of the small committee that updated the 400-question CPB exam (which has since been updated again). By serving on the IPBC Accreditation & Compliance Committee, she helps professionals seeking a higher-level designation. Today, Dianne has earned a reputation as a reliable source of knowledge for bookkeeping professionals and a thought leader in the industry. She still mentors new bookkeeping pros, even as she busily travels throughout Canada and the United States sharing her experience with professionals at all levels. Her company, Soma Small Business Solutions, provides professional bookkeeping with full-cycle accounting and payroll services. The team just launched a new website. Carrie Mulrooney, Mulrooney & Associates Inc. Her first step was to incorporate her own business, Mulrooney & Associates, and build a team based on education, acumen and professional certifications. From there, she began educating small businesses of all types and sizes on how to keep their bookkeeping current and compliant, as well as how to stay focused on their core reason for being. She now hosts classes and learning sessions through colleges, business support organizations and other institutions, and has built partnerships with leading technology providers in the bookkeeping industry to stay on top of trends and tech. Carrie’s underlying purpose has been to show that bookkeeping can be the central focus around which firms are grown. She wants Canadians to appreciate that bookkeeping is a profession in its own right and stands equally alongside other business support professions. Nearly 20 years after opening her own business, Carrie says she’s just getting started. She first used QuickBooks® in just such a manner, helping a choreographer with basic bookkeeping. She fell in love with the program and went on to grow a business around it. Marnie’s other love is technology, and her eagerness to share new trends and whatever she learns is reflected in her active online presence. She is a contributor to the Intuit Firm of the Future and Intuitive Accountant blogs, and regularly writes her own blogs about QuickBooks tips and tricks. She’s a frequent contributor to online forums and Facebook groups, and is the top overall contributor on Intuit’s VoiceStorm platform. If you can’t make it to a QuickBooks conference, be sure to follow Marnie on Twitter; she likes to share the knowledge she’s imbibing and gets creative doing so in real time. Marnie also frequently provides feedback to the QuickBooks Online product development teams, and her input has directly influenced recent and upcoming improvements to sales tax, bank feeds and payroll. Because of her insight, she is a beta tester for QuickBooks Desktop products. Her main purpose in all this, though, is to spread joy. “Helping small business owners understand their financials lets them concentrate on their business with less stress and worry, which translates to happier people, happier families and a happier planet. I truly believe I have saved marriages,” she laughs. Check out Part 1 of this series if you missed it, and look for Part 3 soon. I hope this series helps you learn the ropes of how to become a Top 10 Canadian Bookkeeping Influencer.